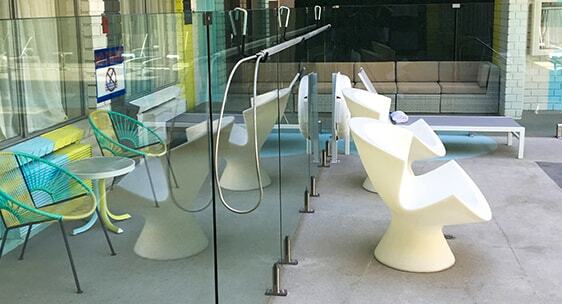 A simple renovation gave new life to the courtyard at the Best Western Hollywood hotel. 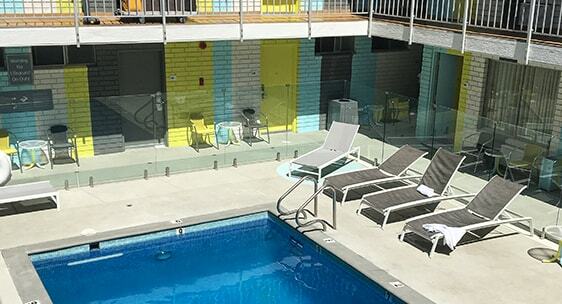 The existing iron pool fence was replaced with a 5ft tall frameless glass pool fence to open up the space and modernize the aesthetic. The frameless glass gates are self-closing and self-latching, and can be locked during maintenance hours. 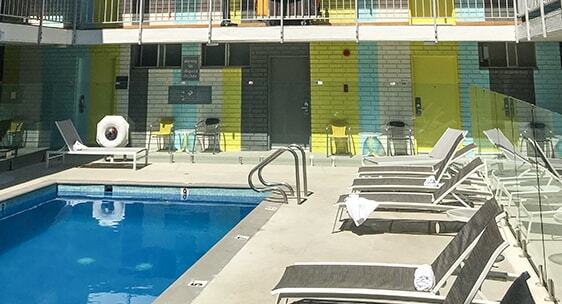 This Best Western is a prime location for tourists and business travelers alike, and can now welcome its guests to the pool area with a touch of modern California style.